life. Will it ever close? Frankly, the phenomena is beyond me. Was there an unfulfilled hunger for operetta dormant for decades? Why am I so clueless to its rabid devotional appeal? Don't others find the story more silly than romantic? 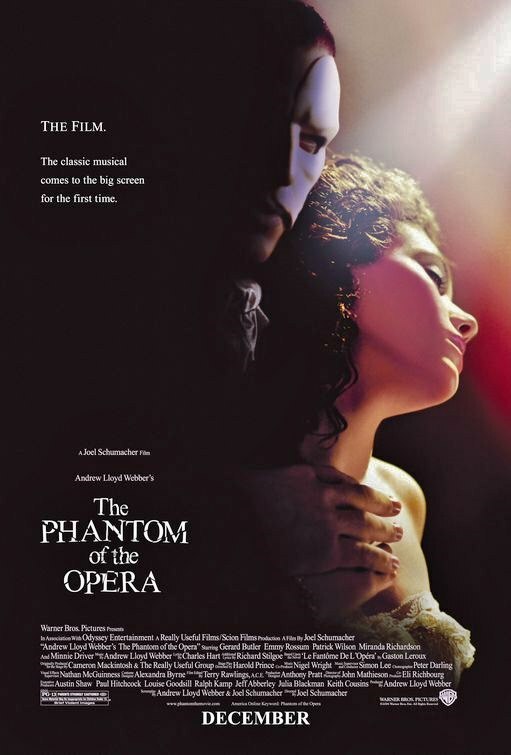 A disfigured, bitter, vengeful man residing in the bowels of the Paris Opera, woos a young singer hypnotized by his mystery only to lose her by his boorish behavior; while her young lover & childhood pal plays hero. A story old as time, or at least since the silent movies--known from a Lon Chaney classic in 1925. The French have a thing for these tales --"Beauty & the Beast" by any other name: Rostand's Cyrano de Bergerac, Victor Hugo's Hunchback of Notre-Dame, Cocteau's Le Belle et le Bete; Leroux's Phantom. The Alienation of the Freak; a metaphor for the outsider in all of us. The need to be seen for our Inner Beauty. 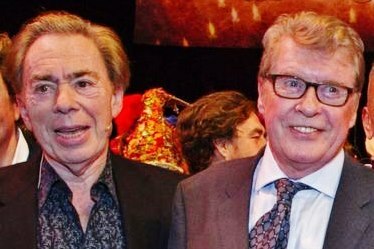 Lloyd-Webber took to it like Puccini to Japan. If he needed any further inspiration, his then wife, Sarah Brightman, was the template for Christine, a role he gifted her for both London & NY premieres. The scale of the work called for the return of Harold Prince (absent from L-W World since Evita.) They immediately put together a team to address what was most important about the show: the production. No doubt much of the musical's appeal is its opulence. Aside from being set within a grand opera house giving license to Aida-sized numbers with elephant statues, there's a grand chandelier that must fall and a dry-ice journey into the bowels of the Phantom's lair. Maria Bjornson was a British designer who worked mostly in opera and ballet and the Royal Shakespeare Co. At a time when musicals were leaning on the unit set or minimal scenery, Prince & L-W let Bjornson go wild, elevating the show's budget to over $14 million--a record at that time. But money well spent, for it generated word-of-mouth that seems to never end. I'll admit my memories of the show (seen but once on stage) are entirely visual--the lavish opera sets, the subterranean cave; and yet nothing topped the very opening: the parting of curtain after velvet curtain until at last revealing the stage. Everything that followed was inarguably smart, professional and state-of-the-art but couldn't spark much affection from this diehard musical lover. older now and matured into a real West End matinee idol. And here he was the star of the world's most successful musical. Like Rex Harrison rising to immortality with My Fair Lady; only. . . not. He was the first, yes, but hardly the definitive Phantom and tho Crawford had once a brief, promising film career, there was no outcry to cement his performance on film, tho he was expected to when Warner's first purchased film rights in 1989, giving Sir Andrew complete artistic control. L-W quickly hired Joel Schumacher (a costume designer turned writer/director, who began in movie musicals writing scripts for Sparkle and The Wiz) and all was ready to roll when Sir Andrew's divorce from Sarah Brightman led to complications, and put the film into a long dormant stage that lasted a dozen years. Minnie Driver. Ciaran Hinds and Simon Callow were the impressarios, and Miranda Richardson, the shadowy Madame Giry. Schumacher return-ed to shoot the entire film at Pinewood in England. 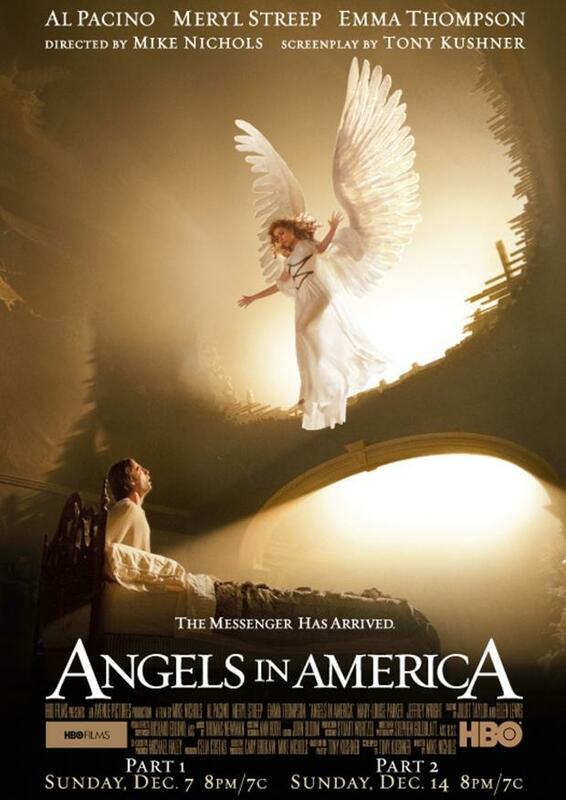 The film was royally unveiled in London on Dec 10, 2004 (my 52nd birthday) and in major US venues on Dec 22. However thanks to my Writers Guild emeritus, I was able to go to an industry screening at the intimate Dolby viewing rooms in SOMA, on December 1st. Coming at the property with less anticipation than usual, I was impressed enuf to return for a second look in January at the Metreon. I hadn't seen it since. The movie begins as stunningly as it does on stage, only enhanced with digital technology. From a faded sepia postcard of Paris, 1919 we zoom into the frame as it comes alive in dusty black & white: the Opera Populaire from the street to the stage, an auction in progress, the fabled house now destined for demolition. 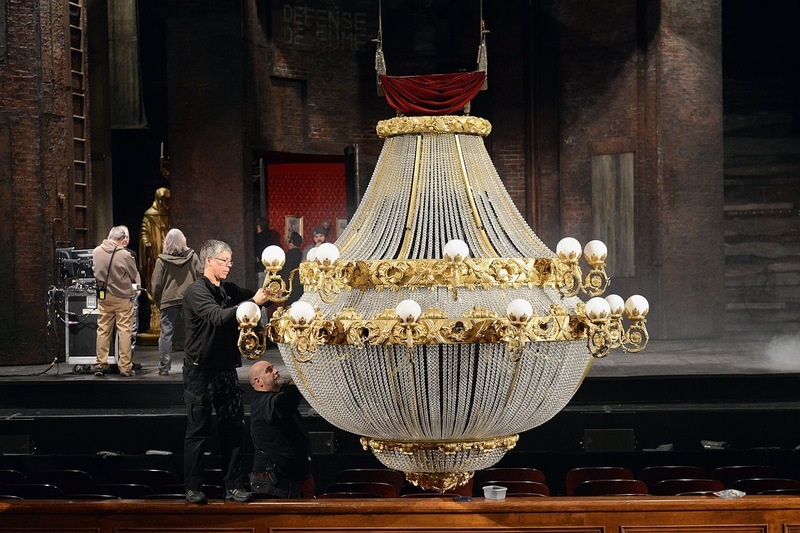 (Shades of Follies) As a final lot comes to bid, a chandelier "in pieces" is hoisted upward and in the process wipes the theater from ruin to pristine glory and b&w to color, all to Lloyd-Webber's most stirring orchestration of the title tune. The opening continues with a flurry of backstage activity that consumes an opera house of this scale. It's all breathlessly thrilling and concludes at a rehearsal in progress with La Carlotta--the house diva. 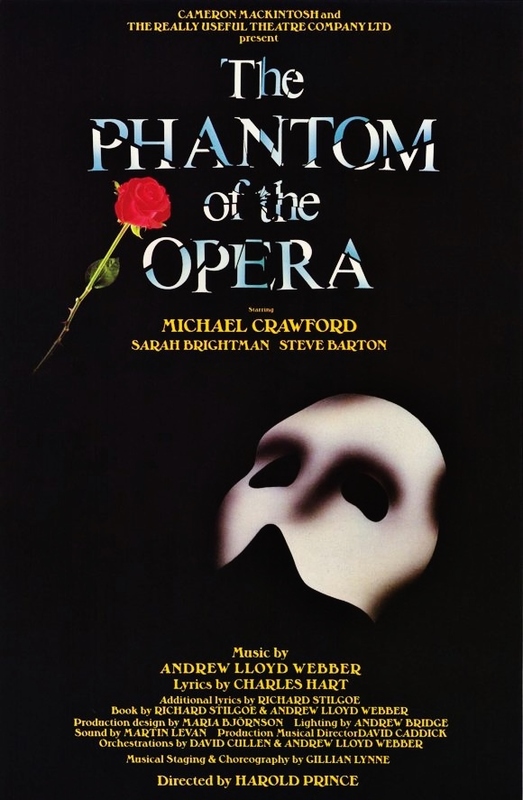 In short order we meet new company owners Firmin & Andre, their patron, the Vicomte, Raoul--a childhood sweetheart of chorine Christine Daae, who is pushed forth by company manager, Madame Giry, when Carlotta bolts in tantrum. It's all rather limp understudy drama; but wait--now it gets wiggy. Instead of basking in her debut glory, Christine retreats to a basement chapel to commune with her Angel of Music--a voice she's been hearing--which Mme. Giry claims has been teaching Christine. But how? Thru the ducts or pipes? It's a puzzlement. And tho Phantom is pleased with his pupil's debut, he flies into jealous rage at Christine's reunion with Raoul, and abducts her to his lair. One of the musical's signature moments is the gondola ride into the underground chamber. Schumacher & Co. are aware of this and inflate the journey to ridiculous length, including one passage down a hall with human arms holding candelabras (an image stolen from Cocteau), and another down a ramp that for no visible reason involves the needless assistance of a horse--all to the throb of the Vangelis-like title tune, which upon examination makes so little sense. Why, for instance would Christine sing, "Those who've seen your face/Draw back in fear"? How would she know?--those who've seen it are all dead. The man cave itself is so absurdly choked with candles (but where is all this smoke venting?) that you can easily expect a good half-days work just in getting them lit. But the extravagance is convincing in accepting Christine's hypnotic surrender, tho she has to endure, as do we, his lugubrious "Music of the Night." A novice vocalist, Gerard Butler took lessons--which leaves him sounding like a novice who's had a few lessons. (Tho in truth, neither Michael Crawford, nor anyone else I'd ever heard made this song sound any good.) But Butler is no better with any of the music, and not that compelling a presence, which pretty much nullifies his casting. Minnie Driver, on the other hand overdoes an annoying Italian accent, finding scant warmth underneath her bitchy shell. Her best moment is in "Prima Donna" being carried to stage in a sedan chaise. This sequence which begins in the Opera lobby as a heavily expositional song, "Notes," perks up the movie after the dark scenes of Christine's encounter with the Phantom--which should have been the more enticing. A major mistake was made in giving his facial disfigurement such a soft pass. Unlike previous film Phantoms, who looked truly scary, Butler looks no worse than your average burn victim. Nor do we see any look of horror in Christine's eyes when she dares to peek under his mask--now fully melted in empathy to this creature. Was this an editing oversight? Without Christine's repulsion, the Phantom's enraged reaction to her act seems all the more psychotic. By now it's clear that the central story is either silly or moribund but what really works is all the otherwise arcana surrounding the Opera. devil? As it happens, the opera he's come to demand they perform (so he's a writer!--But, as we shall soon see, he really wants to direct) is apparently set in the third circle of hell: something called Don Juan Triumphant--tho the movie drops the adverb from the title. It's a wholly different work than what we've seen so far--something dissonant and "modern" with no indication whether it's meant to be ahead of its time, or simply bad. A troupe of Martha Graham-like dancers pop up so unexpectedly I could only laugh. The Phantom drops in to play his own protagonist for the "Point of No Return" and from there it's swordfights and dungeon drama and the Kiss from Beauty to the Beast--the act of transformation, the great romantic climax. She's now free to go with Raoul and the Phantom can slip away into legend. I know millions are moved by all this claptrap, but I'm afraid, like A Chorus Line's Morales, I felt nothing. Still, the movie has an epic sweep and elegance that recalls My Fair Lady, tho without the indelible performances or the unquestionable score. After Chicago, the Phantom's makers had every hope Hlwd's Academy would embrace them, but the film won only three nominations: cinematography and art direction were givens (so how did they miss costumes?) but nothing in the major categories. Lloyd-Webber (with Charles Hart) got notice for the obligatory end-credits new song, "Learn to Be Lonely"--an absurd bid for aggrandizement in a category long since bowdlerized by the lack of original songs in post '60s movies. It lost to a Spanish tune (no doubt lovely) from Motorcycle Diaries that no one's heard of since. Not that "Learn to Be Lonely" has entered the L-W canon. 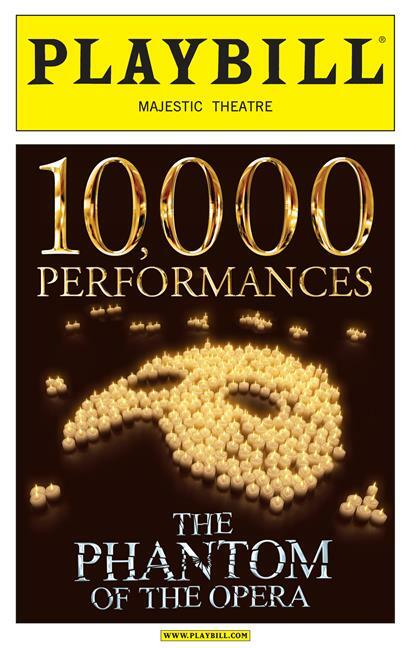 Without the imprimatur of Oscar, The Phantom of the Opera grossed $51,269,000 domestically--a soft showing for the "world's most popular" musical. The film did much better overseas, doubling that for a global total of $154,649,000. That's not peanuts, but compared to the new standard, Chicago, disappointing to Warners, and Really Useful (Lloyd-Webber's empire). By the time of the film's release I was pretty much entrenched in my own grotto, a social phantom, writing--at a snail's pace--my own musical. 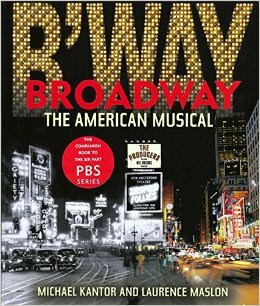 Three years after my presentation to a gaggle of 42nd Street Moon players, I had managed to rewrite the first act and pen lyrics to ten songs. My composer apparently wasn't in much of a hurry, either. These were dark years, the looming Bush/Cheney cabal unleashing a MidEast hornet's nest; a still traumatized general public; a prevalent post-millenium depression. I soldiered on, but my long-held belief in my own protective angels was shattered when I suffered a head-on collision on Post St. moments after dropping Greg off at physical therapy. I never found out why this illegal Latino "borrowing" his bosses truck drove straight into me, but I was fortunate to suffer no worse than a broken wrist (from the airbag--of all things) and some long-range PTSD. But my contract with the universe was now forever broken. That it happened on the eleventh of June, on top of Greg's initial car accident (Dec 11) the Madrid bombings (July 11) and of course the grandaddy of them all: 9/11; branded the 11th as my day to beware. By 2004, my last known blood relative on the planet, Mother, was 83--and having always been older than her years, a very old 83. Yet determined to remain on her own in her 2-story tomb of a house; with daily reminders of where her husband shot himself. In widow's shock she declined to the point her mind couldn't make simple connections, basic logic, or reasoning. The sad truth was she had no good reason for being alive. And wanted nothing more than to die. Only for some bizarre reason (as we will later find out) she couldn't. She was about as negative, unpleasant and tiring a person as you can imagine being around. And now, suddenly on her own, she demanded a good deal more attention, meaning almost ceaseless weekend visits and nightly phone check-ins. I went back into therapy. In May I returned to NY for the first time since 9/11. There was nothing of interest at ground zero--just a giant construction site; but Bway had changed. It was roaring back to life--not Golden Age/National Influence life but thrivingly cultishly popular as well as freshly creative (or shamelessly commercial)--and the newly renovated Times Square now swarmed with family-friendly crowds in this musical comedy (and drama) Disneyland. In truth what finally drew back to Manhattan was Encores! production of Bye Bye Birdie (which was crisply done, but undermined by low-wattage casting.) I came in via Boston, where I stayed with my dear old Laura (who by now I hardly ever saw anymore), but also to take in some unfamiliar sites to freshen these tired eyes; and Boston is a lovely town. I met Larry in NY and we stayed in a condo near Penn Station so uniformly white as to feel like a booby hatch. In short order we saw Caroline or Change (with my beloved Alice Playten! ); Assassins, Jumpers, Here Lies Jenny, and Bombay Dreams. The Roundabout Studio 54 Assassins was best, but in truth none have lingered in fond memory. I saw a fair share of theater in California as well: Urinetown, Hairspray, Man of No Importance, the tryout of Wicked in SF; A rare revival of Duke Ellington's Beggar's Opera in Marin, Bat Boy in Mt. View; Elaine Stritch At Liberty, Grand Hotel, my friend, Lisa Loomer's latest at the Taper: Living Out--in LA; and the most enchanting surprise of all: the tryout of Dirty Rotten Scoundrels at the cozy Globe Theater in San Diego--the most fondly recalled of all those above. 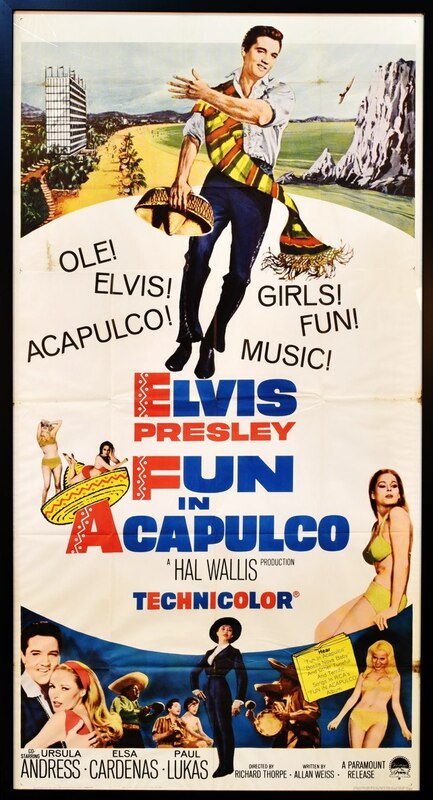 travelogues made back in my favorite decade, the '60s: Blue Hawaii, Fun in Acapulco, Viva Las Vegas. Celluloid valium to counteract all the disturbing political turmoil--altho this had become an unlikey subject of fascination as well, which resulted in my new, unexpected devotion to CNN & MSNBC. The 2004 election was more gripping than any fictional thriller, down to the climax with a downbeat--nay, dystopian--ending. eastern views, which is more often than not uninviting as day progresses into night, and SF weather flaunts its famous fog and bone-chilling wind. Installation of a compact vinyl hot tub made outdoor evenings possible, and became my meditation studio. Radish & Shannon our two aging felines, used to roaming the back alleys of South Van Ness, took to the new sun-drenched digs like two elderly gentlemen retiring to Miami. A fresh start was needed by all. We had moved from the trenches up into the caves; we could look out on our world again (to live in SF without a view is nearly criminal) and gain some perspective. Right after our first Xmas, as Phantom of the Opera was just opening around the world, the horrific tsunami-to-end-all-tsunamis (my core horror) happened in South East Asia--washing away at least a quarter of a million souls. It's easier to be vigilant from atop a mountain.